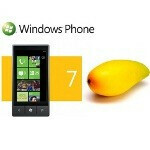 Windows Phone Mango to have visual voicemail? Microsoft has stated numerous times that its Windows Phone platform is to battle for mobile supremacy, while emphasizing that this is not going to happen in the short-term - after all, Rome wasn't built in a day and all that. With this in mind, it's unsurprising that all eyes seem to be focused on its much anticipated Mango update, which is likely to be released as Windows Phone 7.5. Now a new rumor, disseminated by the Windows Phone 8 Twitter account that has spilled the WP beans before, says that Mango includes visual voicemail. As you may know, some iPhones possess native visual voicemail support, while Android users have it thanks to third-party applications. The feature allows you to listen to voicemails without dialing a dedicated service. If this rumor comes good, it's reasonable to expect that Mango's visual voicemail will be previewed in the major WP event that's to take place on May 24 in New York City. Some iPhones? They all do. It would be the carrier that would limit it. Or removing it by jailbreaking. Seems as Microsoft is really working as quickly as possible to get these updates out. Which is necessary now with Android Ice Cream Sandwich coming soon. Hopefully they continue this pace since they'll be working with Nokia. Hope to see the Nokia N9 with WP7 in the future.